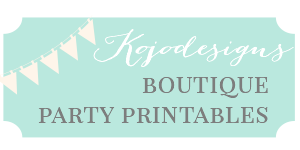 I absolutely love dresses… and I love the sundress series at Melly Sews (and, just to add to the list of loves, I adore Melissa- did you guys know she was my roomie at SNAP? Love that girl)! 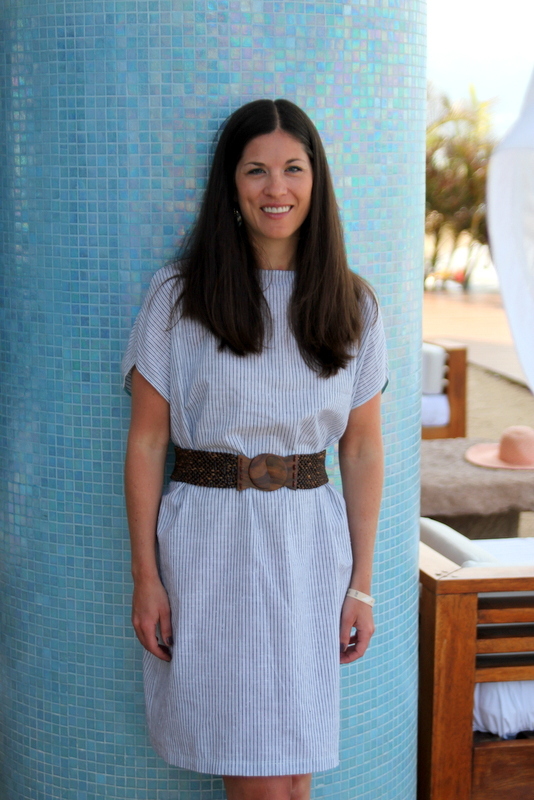 I’m so excited to share this Seaside Stripes dress tutorial as part of the sundress series goodness! 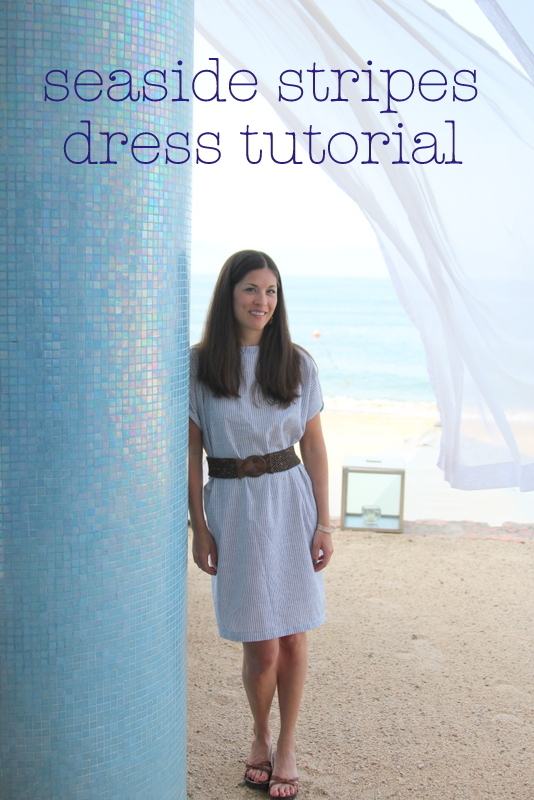 This dress is super simple to make. And by super simple, I mean, it’s basically a big pillowcase with a collar opening (lined with bias tape), sleeve openings (also, lined up with bias tape) that’s cinched with a belt. Cut two rectangles of fabric (a little longer than the length of a dress that you like). For the width, I just left my fabric the width that I bought it, 42” wide. Use a cap sleeved dress to figure out the angle of the sleeves, cut (so now you have a rounded rectangle on your top edge). Trace an existing collar to make your collar opening (I traced the collar on the back side of my cap sleeved dress and used that for both the front and back collar line). It was about 10” wide, for reference. Cut. Sew the shoulders (but not collar opening) together, right sides facing each other). Line the collar opening with bias tape (there is a great bias tape tutorial here). Figure out how low your sleeve opening needs to go (I tried my smock/dress/piece of fabric with a collar opening on and marked with a fabric pen). Sew up both sides to that place. Then line the sleeve openings with bias tape. Cinch with a belt and you’re ready for a beach-y stroll! 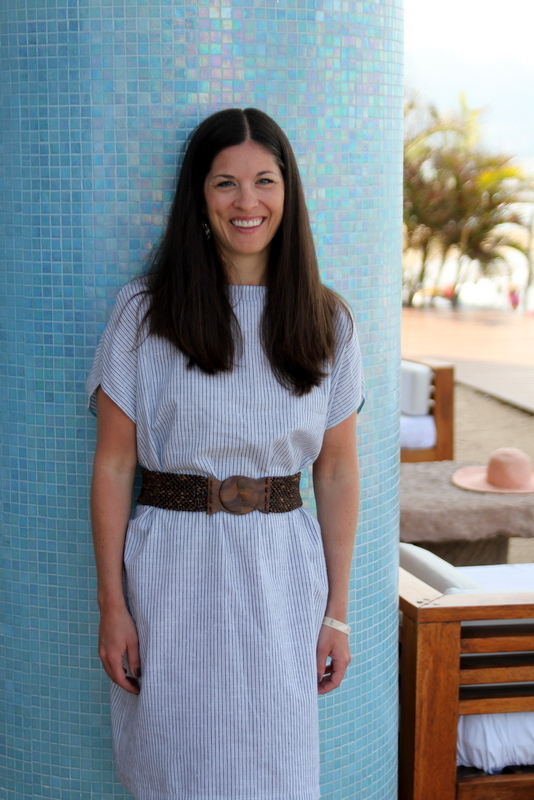 Thanks for having me as part of your Sundress Series, Melissa! 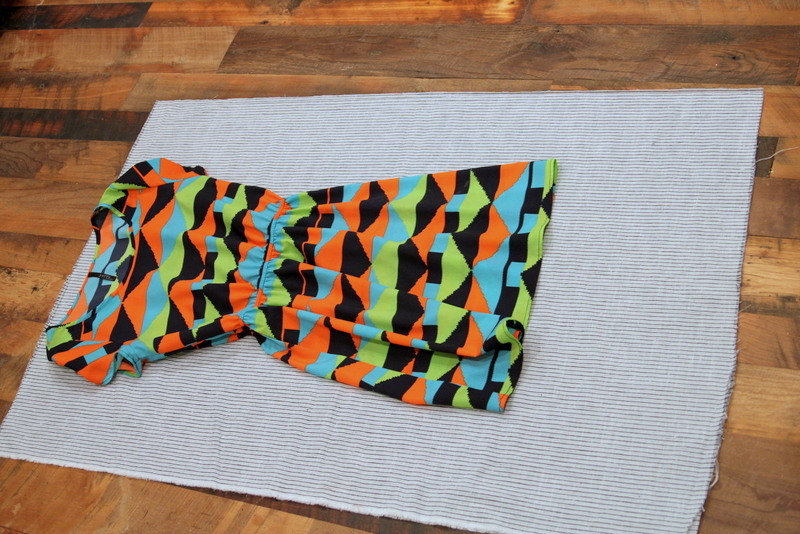 Friends, be sure to check out Melly Sews for more sundress-y fabulousness. Love your dress and your amazing setting for your photo shoot. Thanks Katie- what a sweet comment! I love the simplicity of it! Thanks for sharing. Beautiful pics – it makes me smile that you did these while on vacation! That’s a dedicated blogger. Love this simple dress! Sundresses are my favorite! Thanks Teresa- sundresses are my favorite too- LIVE in them in the summer! This looks fantastic on you! I’m tempted to make one because it looks so cute, but I’m afraid with my extra “oomph” I would look exactly like a pillowcase. Maybe I attempt, maybe. Great work on a darling project! Haha, Heidi- love it. 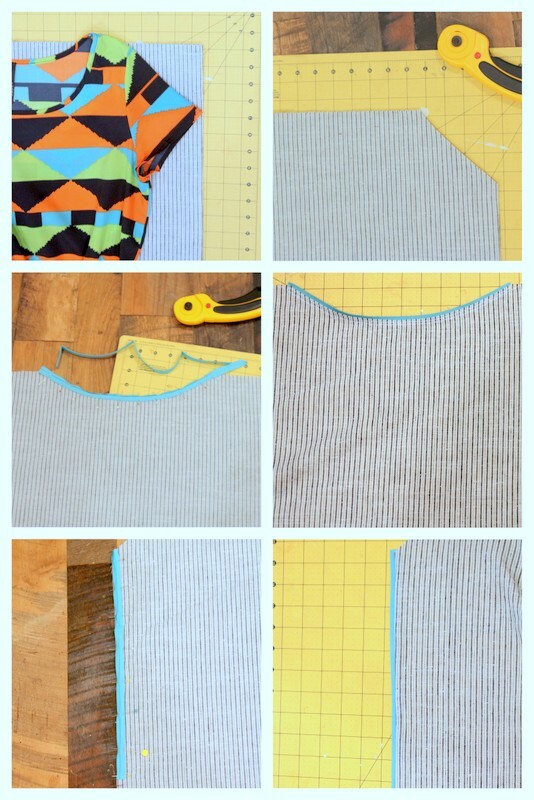 🙂 The best does quite the job on cinching away the pillowcase look (plus, it’s SUCH an easy sew!). 🙂 Try it! 🙂 And then let me know how it goes, ok? Beautiful pictures, Kirstin!! I’m so impressed that you had this all together before your vacation – so worth it! What a backdrop! I’m going to try this dress pattern! Looks elegant and comfy too. Thanks! Thanks for the comment Mary Ann- send me a picture of your dress when you’re finished- I’d love to see it!